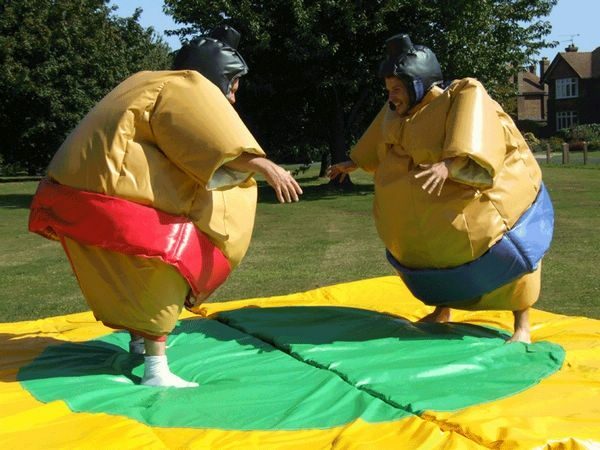 Kids Play’s Sumo Suits are a hit at any event. These suits are adult sized. Here’s what is included with your rental: 2 Suits, Helmets, Gloves, 1 Floor Mat.